Fix My Campus (FMC) is a student-run organization at Duke that allows students to propose and discuss potential improvements to the campus. FMC maintains a facebook group page where students can go to post their proposals. This project improves the FMC system by the creation of (1) a mobile phone application where students can attach their location, media, and other details to their request, and (2) a web-based application where FMC administrators can login and view and interact with the new information coming from the mobile phone application. These applications will improve the user experience of participating students and the efficiency of the FMC workflow. 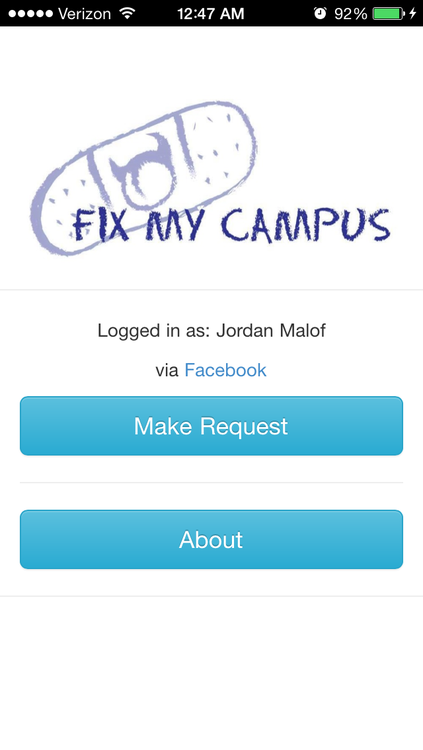 –> We are happy to announce that the FMC mobile app will be available to Duke students for the Spring semester! 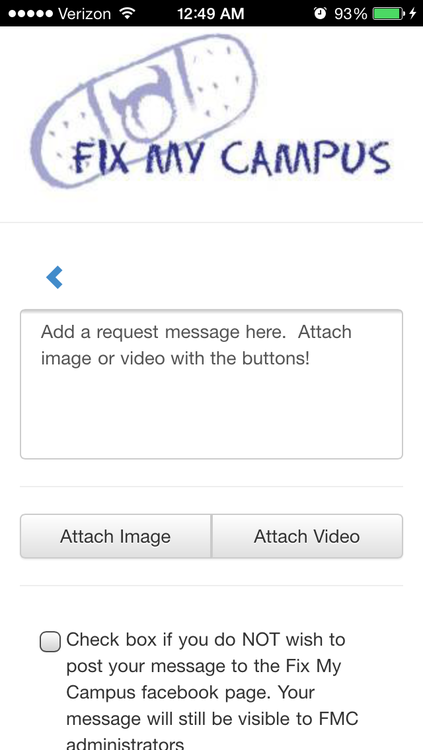 This app will allow students to quickly add video, and images to their FMC Facebook requests. It also allows anonymous requests for more sensitive issues. Check out the app screenshots below! –> We are looking for a new developer to work on the app beginning sometime in the spring semester. If you are interested please contact Innovation Co-Lab and let them know!